The INCA Sun Project will be available to participants who attend hospitals in the border counties both north and south. This is as a result of securing funding from the Cross-border Healthcare Intervention Trials in Ireland Network (CHITIN) which enabled us to open these 4 new exciting sites. We launched the first of our 4 sites yesterday the Southern Trust. We are delighted to be part of this CHITIN grant in partnership with Royal College of Surgeons Ireland & Queens University Belfast. The INCA Team have been awarded funding from the Cross Border Healthcare Intervention Trials in Ireland Network (CHITIN Grant). This funding will enable us to open 4 more study sites in hospitals along the border counties, participation in the INCA Sun Study will be offered to patients who would otherwise have experienced reduced access to research due to geographical location or distance for travel. INCA Team Member Chloe won overall Poster Prize at ITS Conference 2017. Well Done Chloe! INCA Technology has officially reached international heights! Picture taken at Bethlemi Hut on Mount Kazbek at 3670 Metres! This month Dr Frank Doyle (Psychology) gave a talk in the University of Memphis, entitled “Towards precision behavioural medicine – new devices, new analyses: solutions to an old non-adherence problem?” which highlighted the ongoing collaborative work with Professor Richard Costello (Medicine). Frank was invited by Professor Ken Ward, who spent time in RCSI last year as a Fulbright Scholar, and also used this opportunity to develop further research links. Our Programme Manager Elaine Mac Hale spoke at the Asthma Society's education meeting for Healthcare Professionals on the 25.04.17. This educational evening on ‘Helping the Asthma patient – what’s new?’ was to update Health Care Professionals on new and novel ways of managing and treating asthma. Feedback was very positive from the group about our INCA technology and its role in managing asthma in the adult population. To Mark World Asthma Day, The Asthma Society of Ireland and Boots Pharmacy have organised Lets Breath Easy Clinics at pharmacies nationwide for the month of May. You can head along to one of the pharmacies nationwide to get your free consultation with a pharmacist to learn about managing your asthma and most importantly to get your inhaler technique checked. Inhaler Technique is VITAL in maintaining control of your asthma and minimising getting unwell from your asthma. This award is offered to patient-facing pharmacists who, in addition to their regular work, are engaged in research to identify, recognise and promote evidence-based strategies for optimising the delivery of patient care. Academic Practice Collaborations will be viewed favourably by the judges. Susan O’Dwyer, a pharmacist from Boots Ireland who is also Republic of Ireland Healthcare Development Manager, received the ‘Practice-based Research Award’ at the Clanwilliam Pharmacy Awards on 26 November. 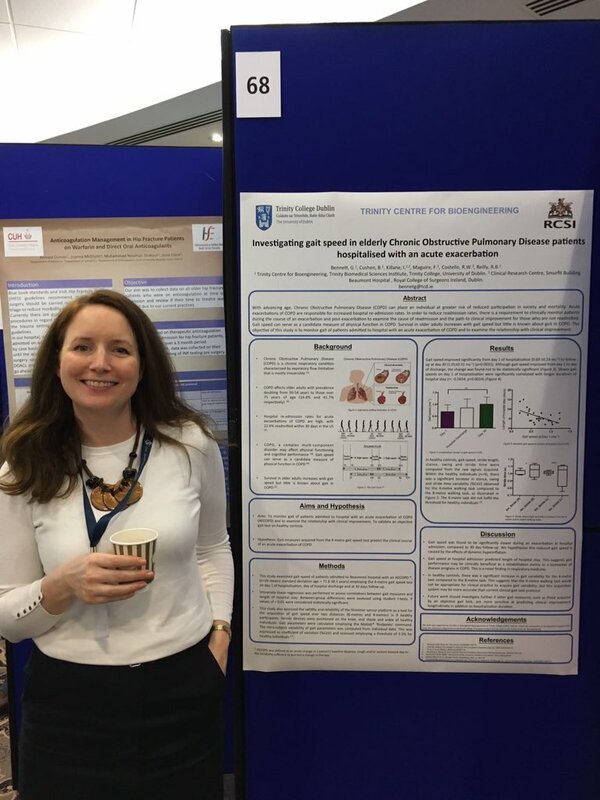 Susan was chosen for her work on the INCA Pharmacy Study, which utilises innovative technology designed to support medication use and adherence in patients with respiratory disease, Susan became the first person to receive the award for a community pharmacy-based research project. "It is an honour to have received this award which recognises the INCA Pharmacy Study, a collaborative research project between Boots Ireland, The Royal College of Surgeons in Ireland and Trinity College Dublin,” said Susan. “We hope our research will help to highlight the role of community pharmacy in medication management for chronic disease." As 2016 draws to a close, we're reflecting on what a busy year we've had! To date we have seen 1,186 participants on the INCA Programme, 665 of those were in the last 12 months. We have conducted 2,702 Visits with our participants in the last 12 months across all our INCA Studies. From all the INCA team, we would like to thank all our participants for giving up their valuable time, which enables us to continue our vital research. We look forward to an even more successful 2017! Today at the BTS Winter 2016 Conference Dr. Breda Cushen talks about the importance of Inhaler Education, and how our INCA technology has a vital role in this management. This managing COPD patients in or outside of the acute hospital setting. To read more about this click on title. Elaine Mac Hale our INCA programme manager presented a prize winning presentation yesterday at the UK Society of Behavioural Medicine 2016 Conference. Her prize winning presentation was on how Patients behaviour has a major influence on their inhaler adherence. INCA Patient Engagement Evening was a Huge Success! The INCA team hosted a patient engagement evening in RCSI last night with Guest Speaker Averil Power, CEO of the Asthma Society of Ireland. Prof. Costello spoke about the INCA team past present and future plans. A Huge thanks from all the INCA Team for all our patients past and present who attended, without their help it wouldn't be possible for us to continue carrying out our vital research. INCA Technology Featured in the latest #LoveIrishResearch Blog about improving patients adherence to medication. To Read More Check out @IrishResearch on Twitter or @INCA_Team, link on our social media page on website. Representing INCA at the Irish Thoracic Society 2016 Meeting. INCA Team Members presented their posters & findings from using the INCA Technology at the Irish Thoracic Society 2016 Meeting today. Well done to all involved.